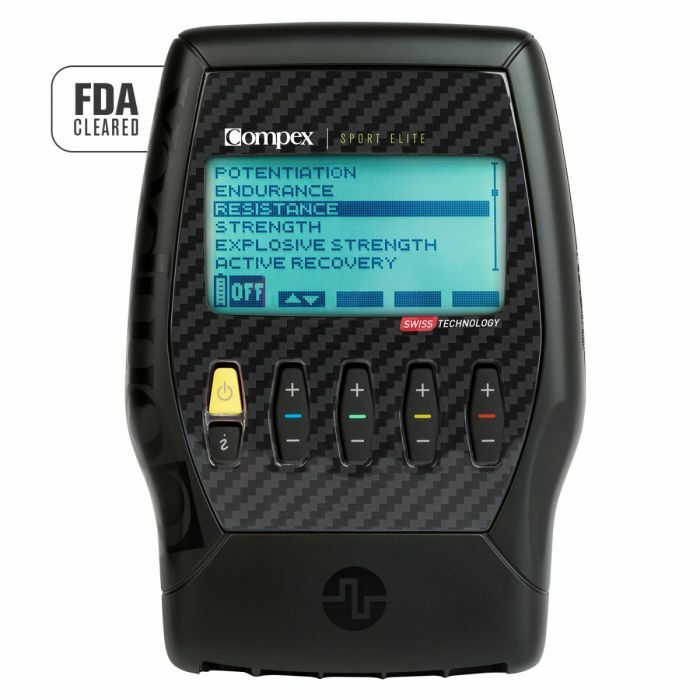 Take your training to the next level with our top of the line FDA 510(k) cleared Compex Muscle Stimulator! Sport Elite 2.0 features 10 programs to help the competitive, high performance athlete looking to achieve optimal results. It’s not easy to be Elite, but it’s worth it! 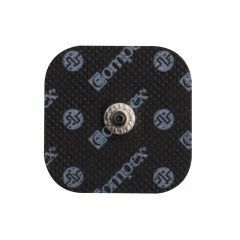 2" x 4" replacement electrodes for your Compex muscle stimulator. 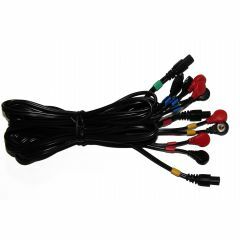 Compatible with snap-on cables. Used during muscle stimulation with Compex devices. The Resistance, Strength and Explosive Strength programs are designed to activate fast twitch, Type II muscle fibers (think power and force). 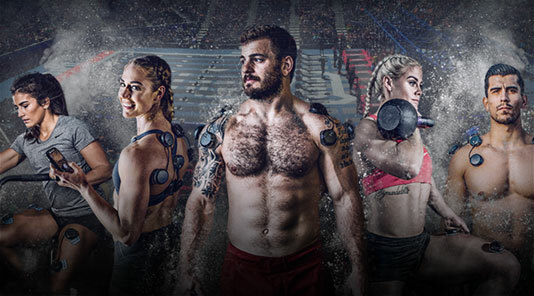 By applying Compex technology to your muscles, you can increase explosive strength. And since Type II fibers are quicker to fatigue, use Compex Recovery to help those fibers get ready to fire again, faster! 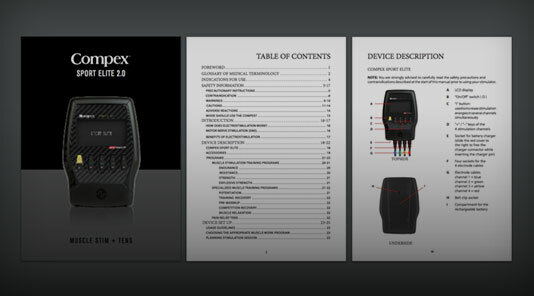 Find out more on the Compex Training Page. 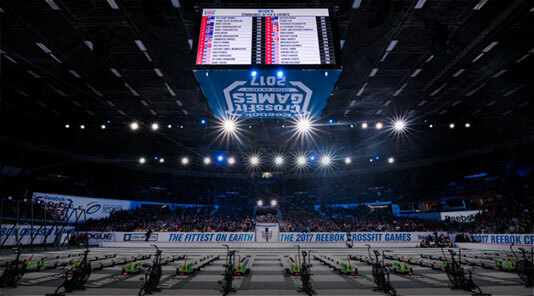 Compex programs can create powerful contractions which mimic weight bearing exercises, such as a heavy back squat. 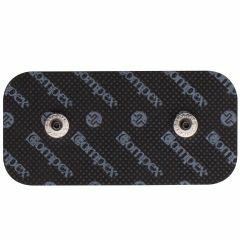 However, your joints get a break by the simple fact there is no additional load on them when performing body weight movements with Compex. 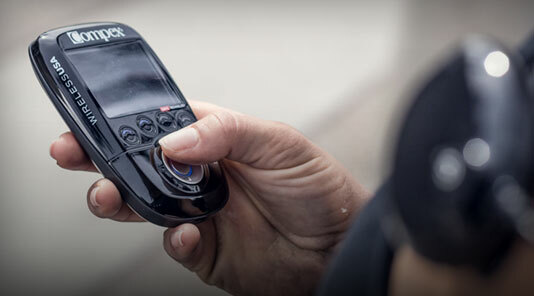 Give those joints a break and let Compex do some of the heavy lifting! 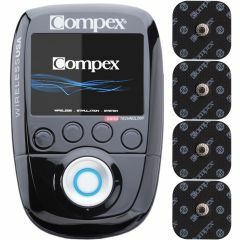 By utilizing Compex Recovery programs an increase of blood flow is produced through low frequency twitches. These programs offer a faster reduction of lactic acid levels through accelerated exchanges between muscle fibers and blood. As a result, stimulated muscles recuperate better from fatigue. Find out more about the programs here. Utilizing Compex Recovery Programs allows fresh oxygen and nutrients to be delivered to the muscles, helping to flush out lactic acid and prevent those aches and pains from DOMS (delayed onset muscle soreness). 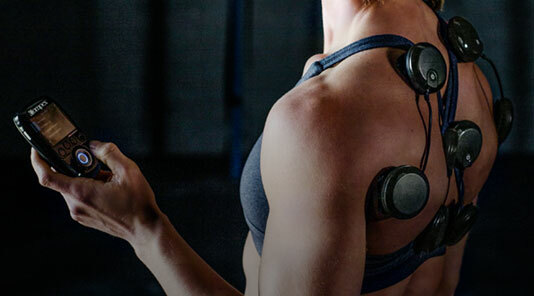 The Compex TENS program helps to decrease the intensity of pain and increase motion and function. This program is designed to activate the aerobic metabolism muscle fibers during the session. Program helps to establish or improve basic muscle endurance and is designed to increase the average intensity of muscle effort over that must be maintained over a long period of time. Designed to activate the anaerobic metabolism of the muscle, this program helps increase the time a muscle can maintain a higher work level. It is designed for sporting activities, which are characterized by a need for intense efforts to be maintained or repeated to approach the limit of muscle exhaustion. Designed to help increase strength by imposing a high and instantaneous power working level on the muscles. It is specifically designed for sports characterized by a need for maximum but very brief strength contractions lasting 5-60s. Helps to increase the speed with which maximum muscle strength can be supplied. Designed to improve performance in activities of very brief duration such as jumping, sprinting and throwing. Produces a muscle twitch. Runs at a low frequency and increases local blood flow, warming the muscle tissue, and increase reaction of the muscles prior to a workout or competition. Produces a muscle twitch at a low frequency. Increases local blood flow, leading to a faster reduction of lactic acid than mere rest, promotes muscle relaxation and helps enable a faster recovery. Runs at a lower frequency for inducing gentle muscle twitches, increase local blood flow, generate endorphins (the body's natural analgesic) and promotes muscle relaxation when muscles are fatigued after a vigorous workout or competition. Produces a muscle twitch. Runs at the lowest frequency possible to help relax muscles that are fatigued after a workout or competition. Recommended before a workout or competition, especially for sports requiring speed and velocity. Applied briefly just before the beginning of a competition, it offers immediate, well potentiated muscle fibers and an optimal level of performance. 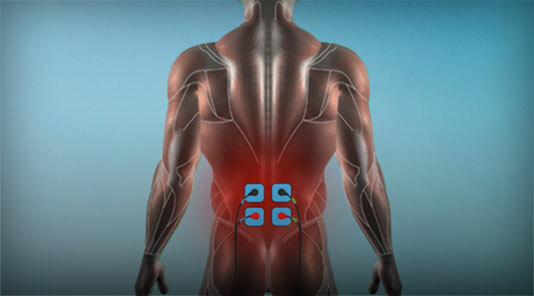 The Pain Relief TENS program is used to temporarily alleviate localized pain. 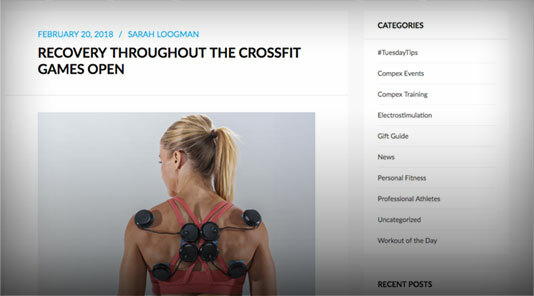 "I really like how it is one tool for activation, recovery, and strength. It's easy to use and it works. Compex is a big part of my training." "I use the device for warm up, recovery, and also when I travel to keep blood flowing after a long flight. I use it every two or three days, but if I am preparing for competition I use it at least once a day." 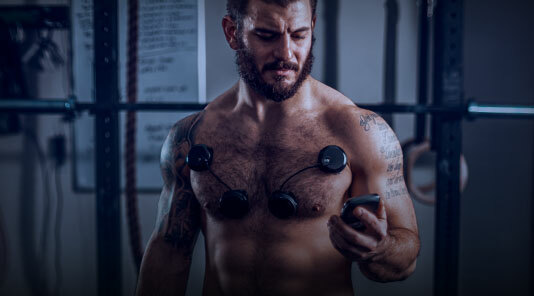 "Compex has helped to enhance muscle stimulation, providing not only recovery but actual activation which can help increase muscle density and strength." "The Compex is a necessity in my gym bag. I like to use it as a warm up every day before I train." "I typically use Compex for recovery and treating muscular stiffness." 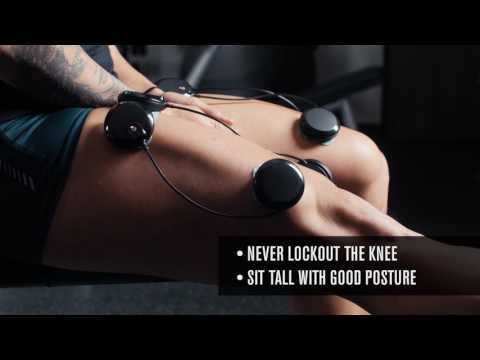 The following video is designed to show you how to set up the Compex for your Quads, as well as recommended exercises to perform using your Compex. The following video is designed to teach you how to use your Compex on the abdominal muscles and give examples of exercises you can perform while the Compex is running. 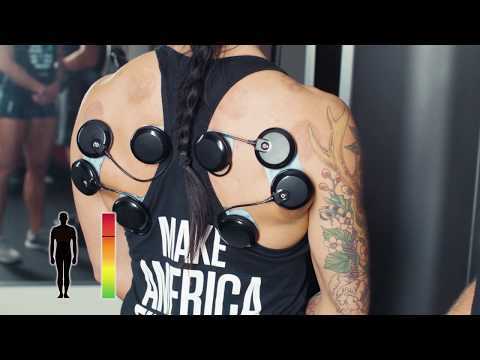 The following video is designed to show you how to set the Compex up on the low back as well as recommended exercises to perform while using your Compex. 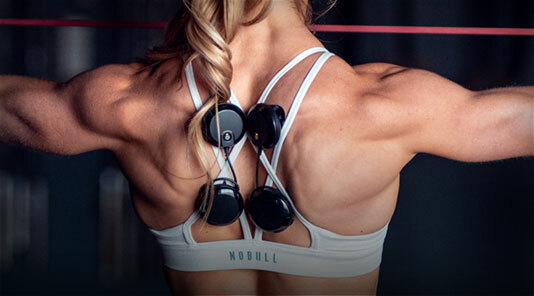 The following Video is designed to teach you how to set up the Compex for your shoulders, as well as recommended exercises to perform while using your device. ***Please note the electrode pads should always be placed directly onto the skin. Use of the shorts are for demonstration purposes only. The following video is designed to show you how to set up the Compex on your hamstrings and recommended exercises to perform wile using Compex. The following videos shows how to set the Compex up and recommended exercises to perform with Compex on the Calf Muscles. The following video is designed to teach you how to set up the Compex on your mid back and recommended exercises to perform. 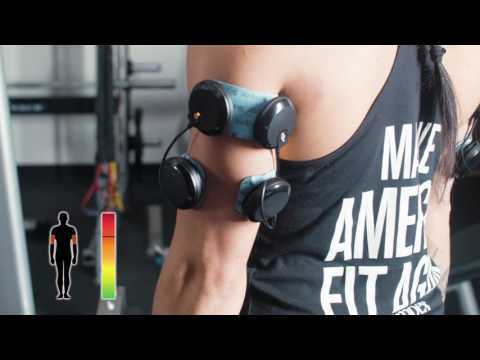 The following video is designed to show you how to use your Compex on the Bicep muscle and incorporating movement. The Following Video is designed to show you how to set up your device on the triceps, and recommended exercises to perform with your device. 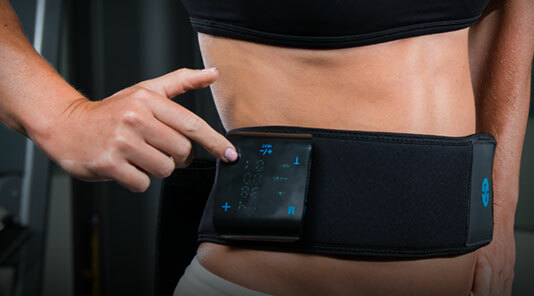 FDA 510(k) cleared wireless muscle stim device designed to give maximum mobility while utilizing each of the 10 Compex programs. 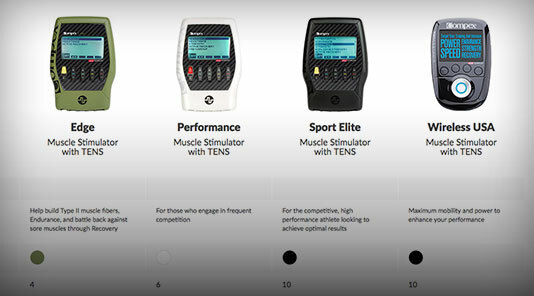 The programs can help enhance your performance, speed up recovery, and even manage pain with TENS.